There was an excellent symposium devoted to Graham Harman’s work on Bruno Latour at the LSE this week. Graham characterised Latour as a ‘secular occasionalist’. Occasionalism was a philosophy originally associated with ancient Islamic thinkers, who thought it an abomination that one thing could directly affect another. Even for fire to burn cotton, they maintained, it was necessary for God to act as a mediator. Graham’s theory of objects, arising from his deliciously aberrant reading of Heidegger, emphasises the opacity of objects, the way that a subterranean region of themselves is always retained that does not enter into any external relations. In this way Graham restores the mystery of causation, makes the taken-for-granted fabric of commonsense experience the focus of cosmological speculation once again: how is it that one object can affect another? Speaking from the floor, Peter Hallward posed a question which aimed to challenge Graham’s refusal of relationality. Peter asked us to consider the example of a chess set, arguing that the existence of any individual piece – a rook, say – can be explained and accounted solely by its relation to all the other pieces. But, far from being an objection to Graham’s philosophy, this example demonstrates its significance. Even though a rook might only have been manufactured to become part of a chess set, and even though its meaning is dependent upon its relation to all the other pieces, this by no means exhausts the ‘being’ of the rook. 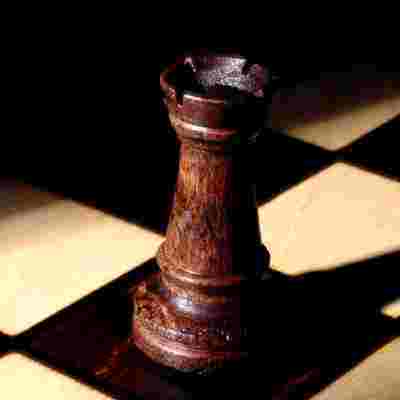 As an object, the rook is not reducible to its function as a chess piece: for instance, termites or micro-organisms may already have made it a habitat. This struck me as one way of getting to the Lacanian opposition between the Symbolic and the Real. The Symbolic is about relations; at this level, an object is a signifier, whose function is determined – and exhausted – by its relations with other signifiers. But the signifier is also a particular form: in the case of language, the letter; in the case of a chess set, the pieces. This level of form, which lies beyond human meaning but upon which human meaning depends, is the asignifying, non-sensical Real. The ‘real’ in Graham’s version of Speculative Realism can be seen, then, as a Lacanian Real. A recorded version of the symposium is now available here.